According to a new research study published in the Journal of Threatened Taxa, a researcher has identified and described a new species of butterfly from Upper Dibang Valley district of the North Eastern state of Arunachal Pradesh in India. The newly identified butterfly has a set of distinctive characteristics which makes it different from its closest relatives, it says. After confirming the identity of the species as a separate one, the researcher has named it after the biodiversity rich Dibang Valley. Christened as Callerebia dibangensis, the new species joins the league of roughly 11 species and 20 subspecies of closely related butterflies in the Callerebia genus, which are found exclusively in the Himalayan regions of India and China. 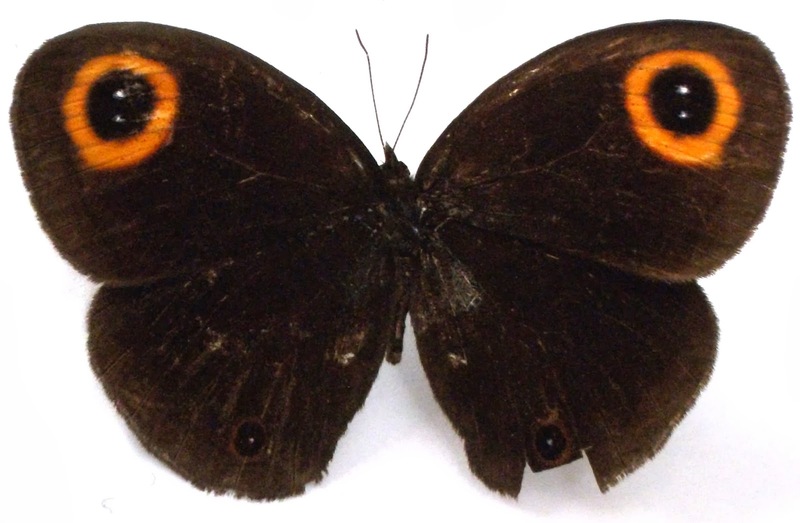 However, the story of establishing theidentity of the new butterfly species Callerebia dibangensis is rather a long one. According to Purnendu Roy, who described C. dibangensis, this Nymphalid butterfly was spotted and collected in 1987, approximately 26 years back, from Mithun Valley in the Upper Dibang valley, Arunachal Pradesh. But subsequent work on the identification and describing the species was delayed due to personal as well as technical reasons, according to Roy. The specimen is presently deposited at the Natural History Museum, London. A combination of very distinctive characters like large size; highly rounded wings; striking under hindwing white scales; distinctive under hindwing tornal ocelli (an eye like marking on the posterior corner of the wing); large round orange spot on the anterior corner of the forewing and a dark brown underground colour distinguishes Callerebia dibangensis from its similar looking relatives in the Callerebia genus. The first specimen of the species was collected along the track that leads from Anini to Mipi between the altitudes of 1600–1800 meters, approximately 5–10 km from Anini. According to the study, the winged beauty was spotted at a place with surrounding vegetation of mixed sub-tropical broad-leaf forest. Unlike the usual practice of baptizing new species with a scientific name and a common name, the author of the study has urged the people of Dibang Valley to give a common name to the new species. According to a press note released on the study, the Mishmi weaving of the local people is known to be influenced by butterflies like Northern Jungle Queen. Since the new butterfly species has beautiful white lines on its hind wing, which indeed resembles some patterns of the weaving culture, it may have a local name. “It cannot be ruled out that it does not have a local name already. If it does not have a local name, this could be an opportunity for local conservation or community groups to give it a common name to promote the conservation of the Dibang valley forests.”, says the press note. The new discovery, however, points out certain realities on our knowledge about the rich biodiversity of our country. The fact that the existence of a new species among butterflies, which are intensively studied by entomologists as well as nature enthusiasts, was over looked for many years is a shocking surprise. According to Roy, the remote nature of Dibang Valley and difficulties in accessing these areas during tough weather can be reasons why very few butterfly surveys have been carried out here. 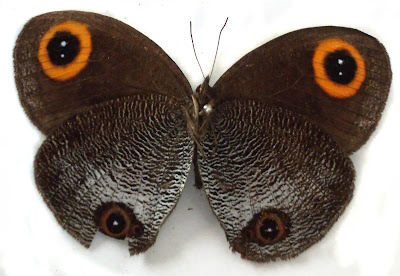 Recently, rare butterfly Empress was rediscovered from the area after a gap of 88 years. “If in a well-studied group such as butterflies, a new species has been overlooked, then I think it does illustrate that more new species, especially in the less studied fauna will be discovered(from the area). There is certainly a need for more systematic studies so that a greater range of altitudes and seasons are covered”, Roy said in an exclusive email interview with Indian Biodiversity Talks. The researcher also thinks that the butterfly can be endemic to the valley due to the specific geographic nature of the place. There is no specific threat to the new species, at present, says Roy. “At the elevation (from which) it was collected, there are no specific threats. The proposed Dibang dam is however a serious threat to the riverine forests at lower elevations as highlighted by the MoEF forest panel which rejected the clearance”, he said.